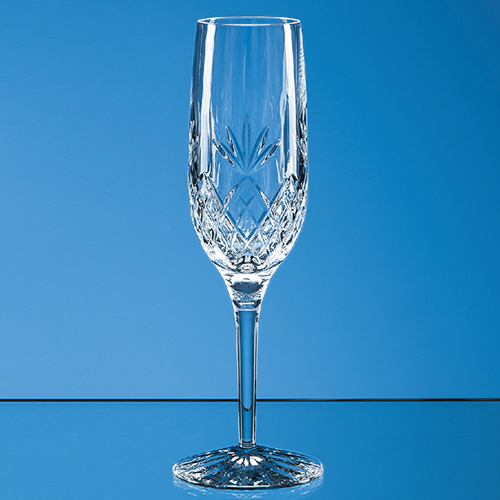 See the champagne bubble and fizz through the clear cut classic diamond and wedge cut design of this stunning Blenheim lead crystal champagne flute it is the perfect gift for any occasion - from engagement to birthday, wedding or anniversary. It is the perfect companion to any other pieces from the Blenheim collection. Available as an option is a luxurious blue satin lined presentation box.